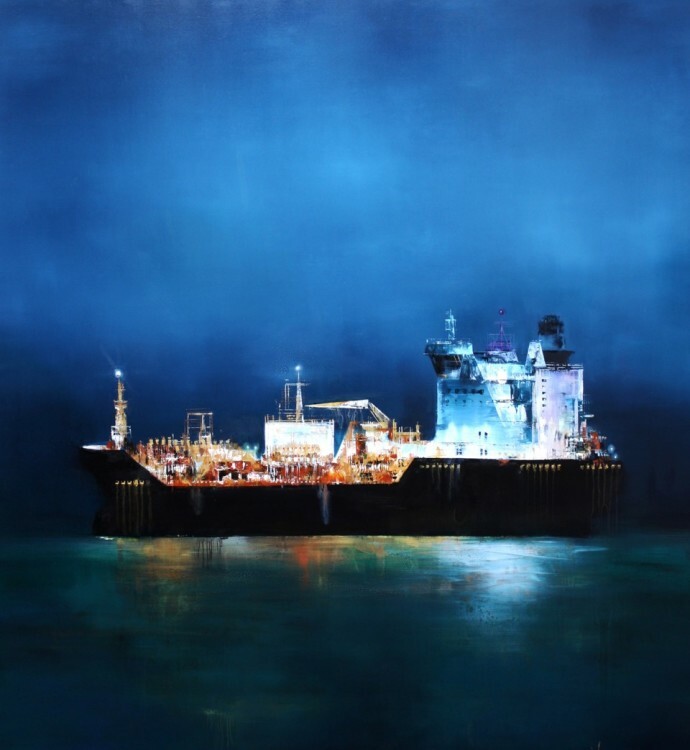 British artist Anne Penman Sweet and Greek artist Tilemachos Kyriazatis both depict tanker ships. 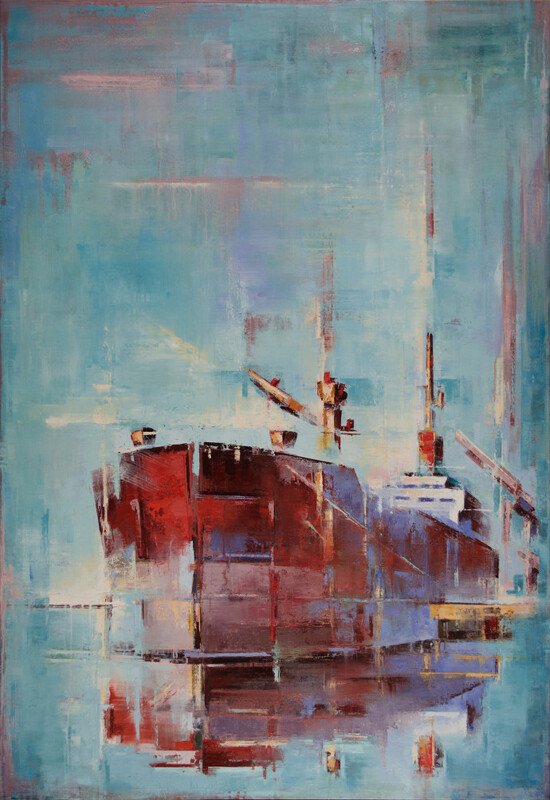 Using high -pigment oil paints built up in textured layers, the artists convey the roughness, rust and weathering of the ships’ hulls. Industrial and hulking, these vessels are suspended on ethereal backdrops where ocean and sky are worked together into one plane. 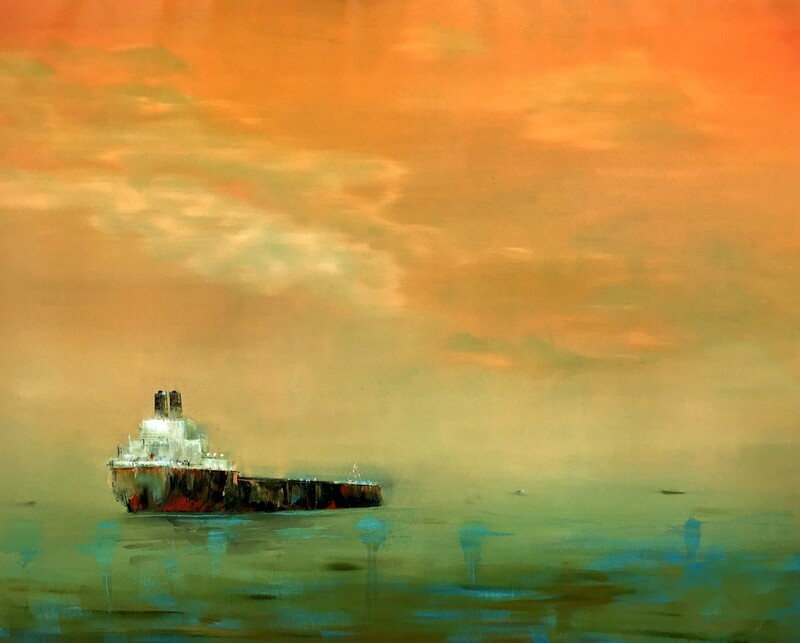 The scale of the tankers is re-set against the open vastness of their settings. 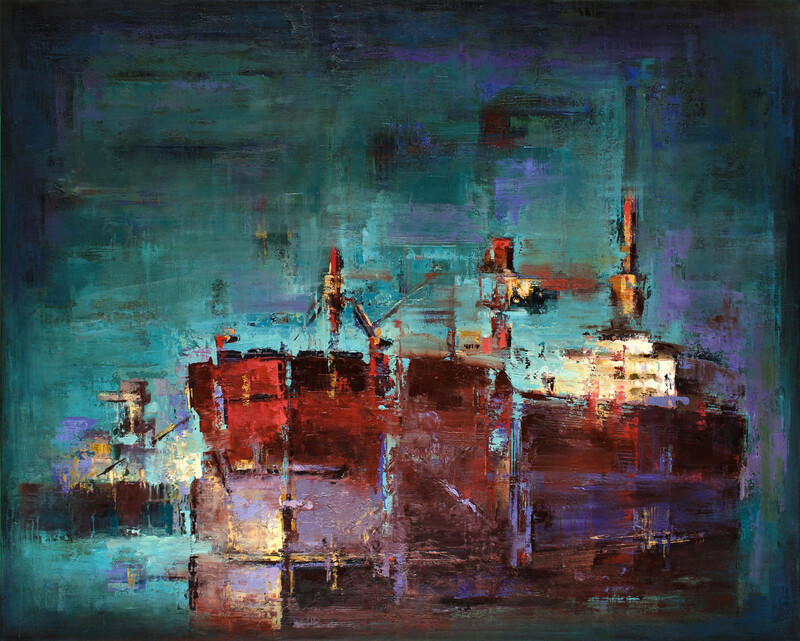 For Kyriazatis, these ships represent grand philosophical notions of the endless human quest, evoking awe and curiosity. He names his works after the heroes, nymphs and muses of Greek mythology. 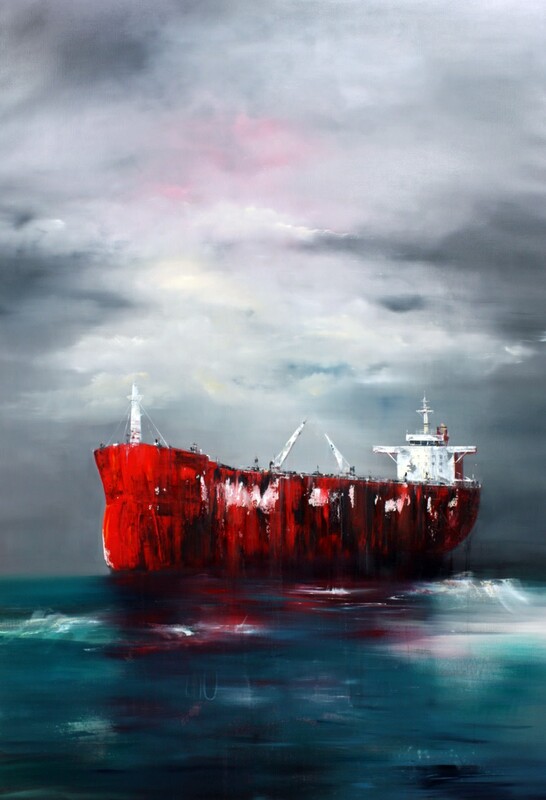 Penman Sweet echoes these sentiments in the naming of her ships after gods, goddesses, stars and galaxies, associating them with epic qualities, carriers of spirit and myth. 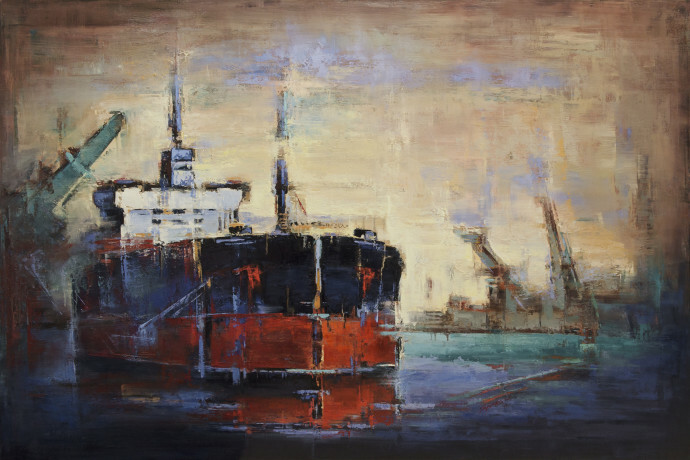 Precious Cargo highlights the artists’ shared fascination with these vessels and their journeys, their stories and cargo. 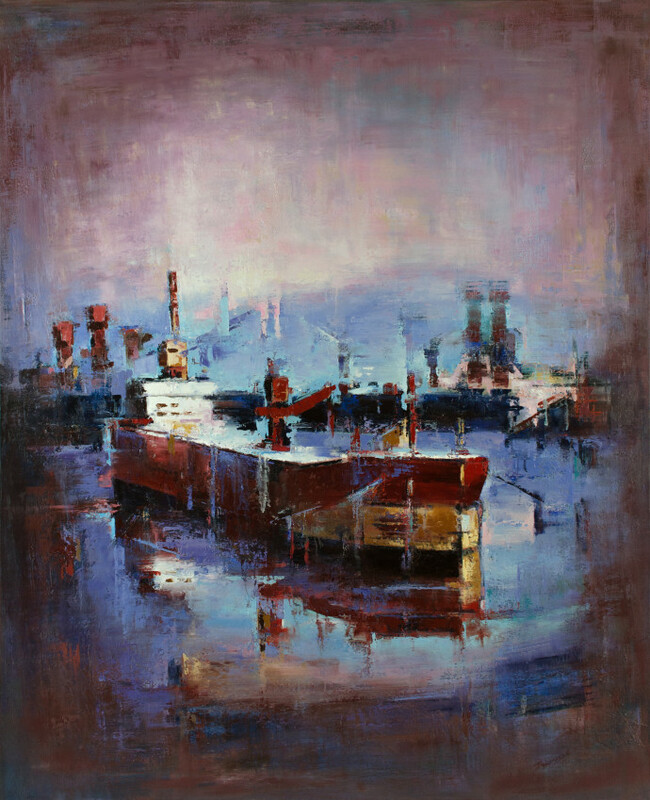 The ships inspire in the viewer a sense of wonder and wanderlust.